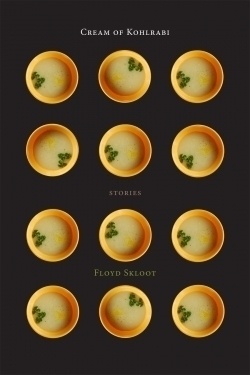 In Cream of Kohlrabi, veteran author Floyd Skloot brings together stories that tread the unknowable fringes of life. Featuring characters who in the twilight of their lives face tremendous mental and physical challenges, his stories explore those mystifying moments—sometimes minutes, sometimes years—before death that carry a heavy burden of meaning. In the spirit of Hamlet’s agonizing question—to be or not to be—Cream of Kohlrabi ponders what it means to slowly fade into the unknown. The collection features stories that first appeared in prominent literary journals and are loosely organized into three major thematic sections. The subject matter is varied, but a unifying theme threads the stories together into a solid collection: every character shares the desire to connect—to others, to memories, to lovers, to their own physical bodies—and this desire propels each story forward while linking it with others in the collection. From the earnest, slow burning desire to reconnect with loved ones after being diagnosed with a terminal illness (“Plans”) to the search for a wife through the haze of dementia and Alzheimer’s (“Alzheimer’s Noir”) to the portrait of a terrifyingly dysfunctional father-son relationship (“The Royal Family”) or the secret yearnings of a downtrodden housewife (“Let Us Rejoice!”), every story presses firmly on the pulse of relationships and what it means to struggle for a connection through impossible situations that afford individuals little control. Many of the selections fixate on characters that have fleeting control over their minds and bodies. Characters like these—the eldery and the aging—are often the objects of observation in literature. They are by default in passive roles. Skloot however, allows his most vulnerable characters their own voices. In the title story, for example, the narrative voice mimics the confusion and disjointed thoughts of Ike Rubin, a resident in a nursing home. The stupefying inability to remember names for common objects—a doorknob is a “nopple”—the sudden halt in thoughts reflected through line breaks in the text, mimic Ike’s brain patterns and essentially embed the reader in his mind. In this way, the first-person narratives ascribe power to characters actively telling their own stories. Though these themes are often repetitive—in the first section of the collection, almost every character is a resident in a nursing home—and create a sense of monotony, the voices of each are unique and the stories told are always offbeat and refreshing.